The DEN has an amazing lineup of webinars to wrap this month of exciting May Days’ webinars. Let’s start with a Siemens STEM offering. You do want to check out this wonderful webinars, blogs, and STEM resources that our PA DEN GURU Patti Duncan manages as our science specialist and STEM blogger. Explore the science of food with Planet Green‘s Homaro Cantu and Ben Roche! Get your students excited about the science behind the foods they eat! Is it possible to save fuel by downloading pizza off the internet or reduce landfill mass by making edible packing peanuts? Join the hosts of Planet Green’s Future Food, chefs Homaro Cantu and Ben Roche, as they explore the science of healthy and sustainable eating. 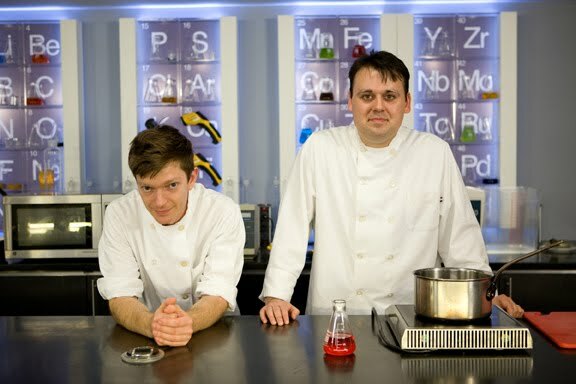 In this live, interactive webinar, “molecular gastronomists” Homaro and Ben will excite students about chemistry by demonstrating how science can be used to create unimaginable, edible 21st century creations. Your students will walk away with a better understanding of sustainability and the science behind the foods they eat today and might eat in the future as they watch Homaro and Ben conduct live experiments such as carbonating a grape in a balloon and sweetening lemonade without sugar. This is an event not to be missed! Join DEN STAR Bridget Belardi as she answers what is geocaching and how do I get started.